So you’re ready to Experience Human Flight? Awesome! You’re going to love it! If this will be your first time skydiving, you’ll be able to choose from three different methods at Skydive Tecumseh. Each method is sanctioned and approved by the USPA to assure the highest level of personal safety for you, the first-time skydiver. No matter which method you choose, you can rest assured that you’ll have the time of your life, and you’ll have gained an experience that you’ll never forget! 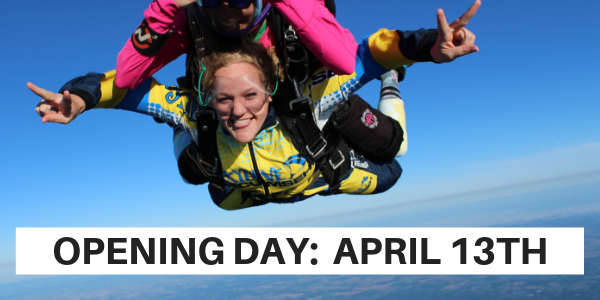 Feel the rush of a skydive without the extensive training involved with becoming certified! Tandem skydiving is by far the most common and popular method for your first skydive and Skydive Tecumseh offers jumps from 9,000′, 14,000′ and 18,000′. 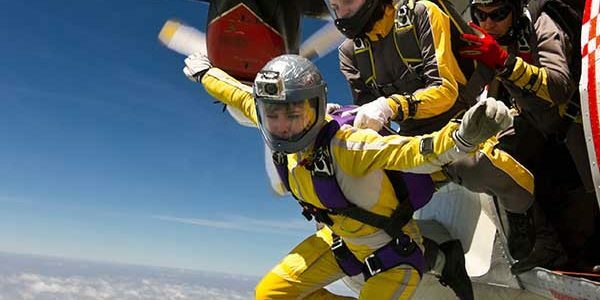 A tandem skydive is our recommended method to experience human flight for the first time. With less than an hour of training, you will be ready to take your first skydive, harnessed to one of our USPA-Certified professional instructors! You (and all your friends!) will be able to do your training and jump in the same day. 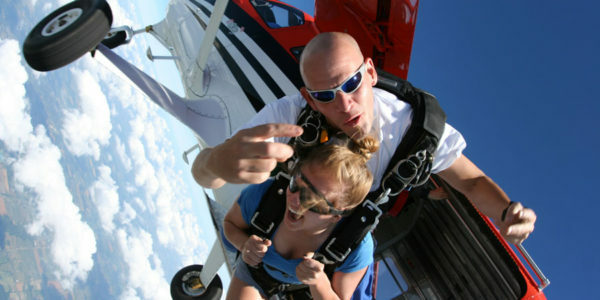 A tandem skydive at Skydive Tecumseh can take you higher than any other dropzone in Michigan, up to 18,000ft! At that height, you’ll get over a full minute of freefall! 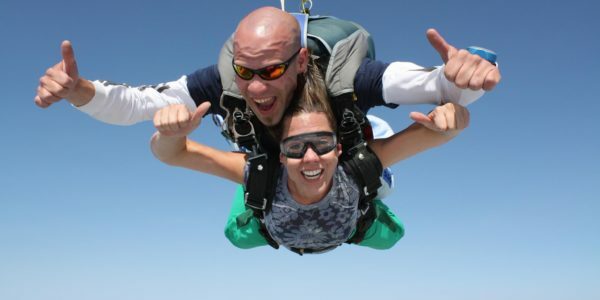 For many, making a skydive is a major life event positioned in the realm of getting married or even having a child! This event is one of life’s greatest adventures that doesn’t require months or even years of training. If our guests ever have a regret, it’s because they didn’t purchase a photo or video package because they failed to realize how extraordinary the skydiving experience is… don’t make this mistake! Allow our amazing camera flyers capture the entire experience for you! You’ll be happy you did! Instructor Assisted Deployment (IAD) allows you to be in control of your own parachute. With an IAD jump, you’ll exit the plane solo and pilot your own parachute to the ground. Accelerated Free Fall (AFF) is the best of both worlds. You will experience the thrill of freefall from full altitude and be able to control and land your own parachute! 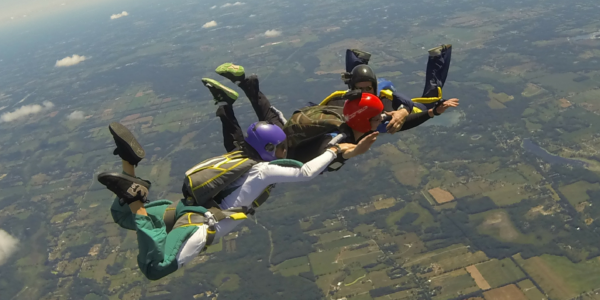 With an AFF jump, you’ll exit the plane with two instructors who will help guide you through your jump, then fly your parachute back to the ground and land it by yourself.